Up to 92 linear feet of drying space. laundry through to dry thoroughly. 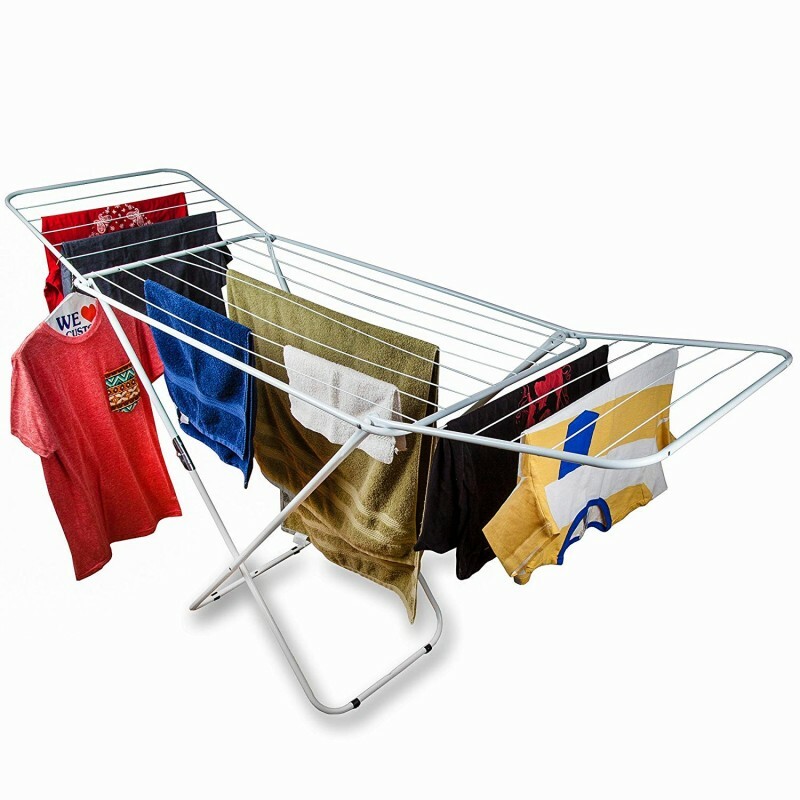 If you're looking for a way to maximize energy efficiency, use a drying rack which will save you tons of money over the common household machine dryer. 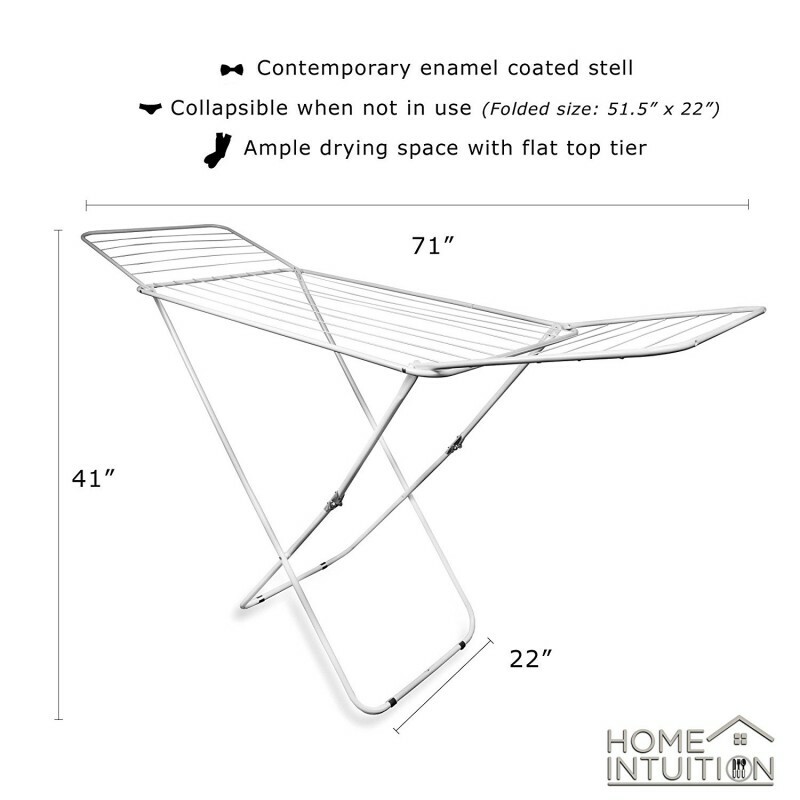 This Home Intuition drying rack is generously sized and designed to dry a little or a lot with its 3 total sections resulting in a more space for all your drying needs. 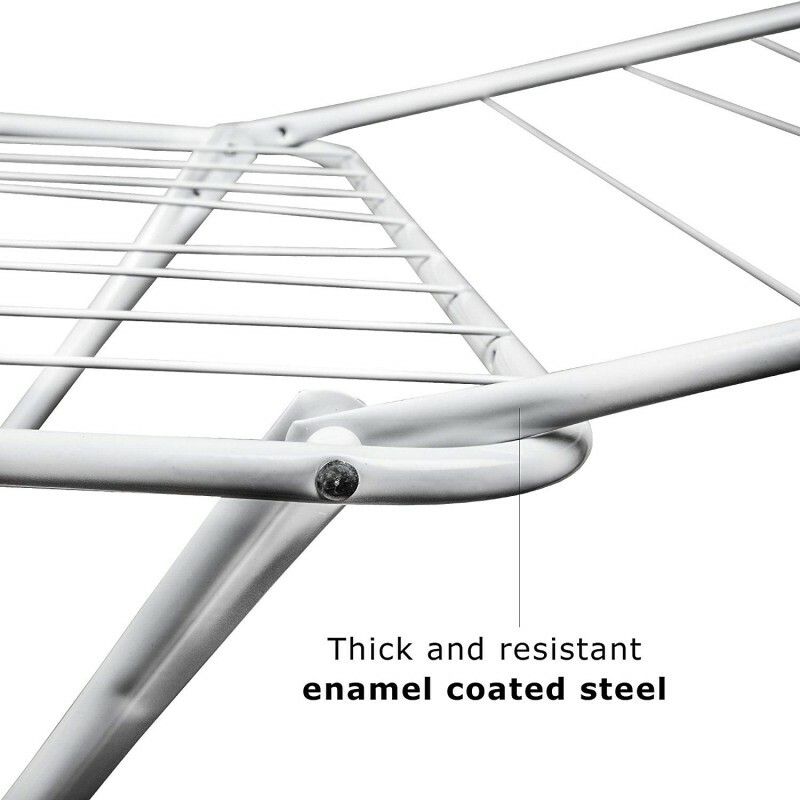 Each section hosts several dividers that allow you to hang clothes and more. 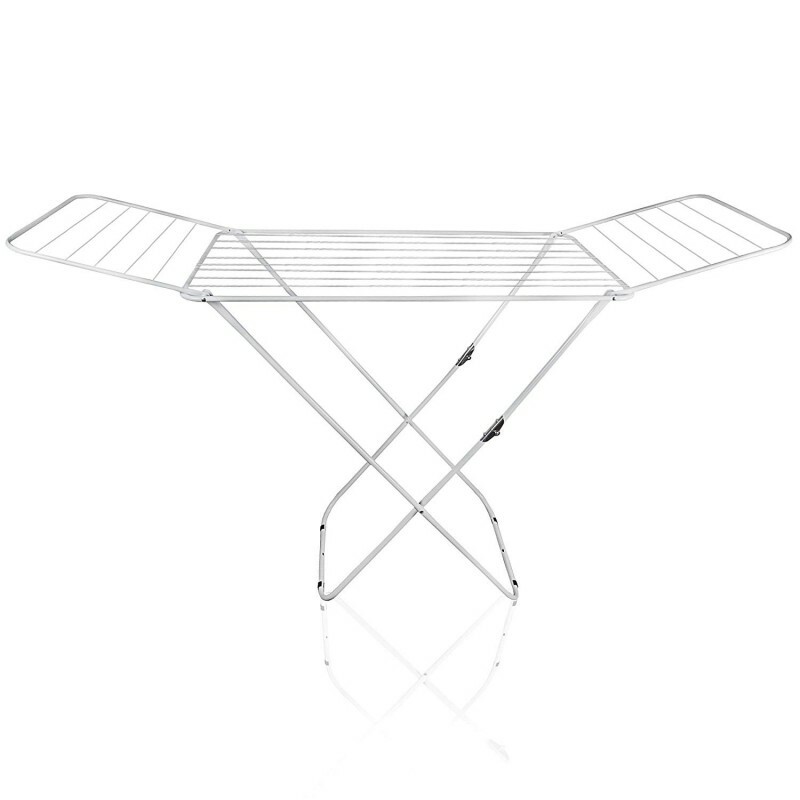 Features a table top style with two fold out wings resulting in a much larger drying space of 92 ft but still allows for easy storage. 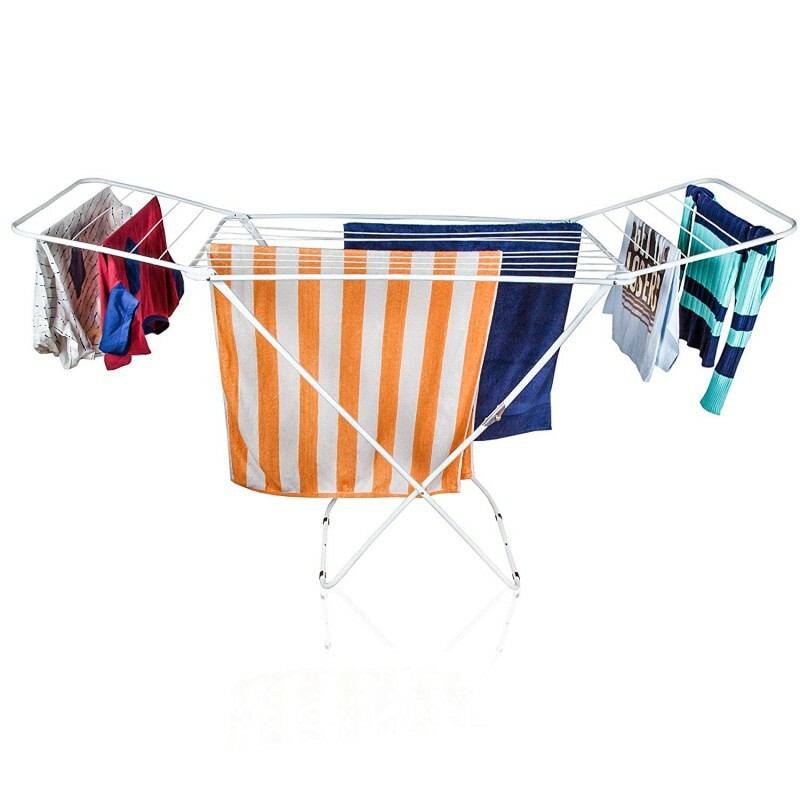 Use as a clothes dryer for delicates, winter clothes, summer clothes and even your swimsuits. The versatility of this drying rack makes this truly a dryer for all seasons. 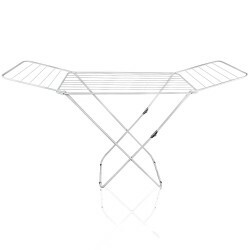 This drying rack is composed of a steel tubing with a durable white epoxy coating that is resistant to chipping or rusting and can be also used outdoors if needed. The top horizontal bars are spot welded to the steel frame and the legs feature a child safe locking device. Includes Limited Warranty. It is much larger than I expected, but it is sturdy and easy to put up/down. Stores flat under my bed. Easy, convenient, of adequate size. The outdoor clothesline seems so hard sometimes (in the south Texas sun). This rack sits in a handy position on my back porch. It is sheltered from wind, rain, and birds. It holds a large load. (It may not hold a super-large load.) it is easy to use and to move. It is a money-saver, and I get to feel virtuous because I am doing something good for the environment! There is no way I would load this rack up like the picture. The Wire type lines in the middle would bend under the to much weight. This is made on the cheap side. I have light weight full size sheets I dry on it without problems but they are light weight.